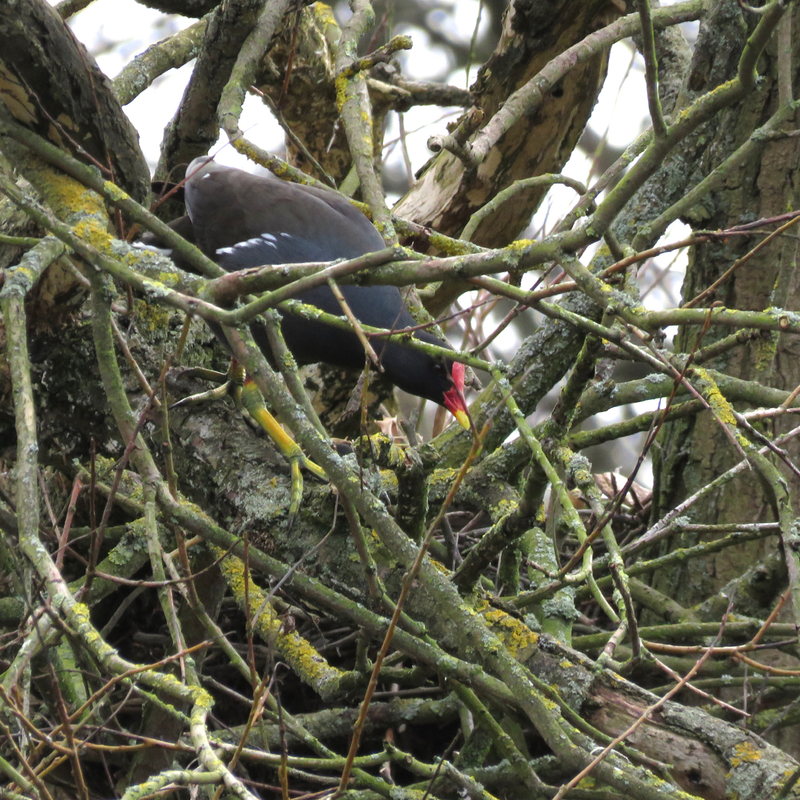 The Rattling Crow: Why did the Moorhen and the Mallards go up a tree? 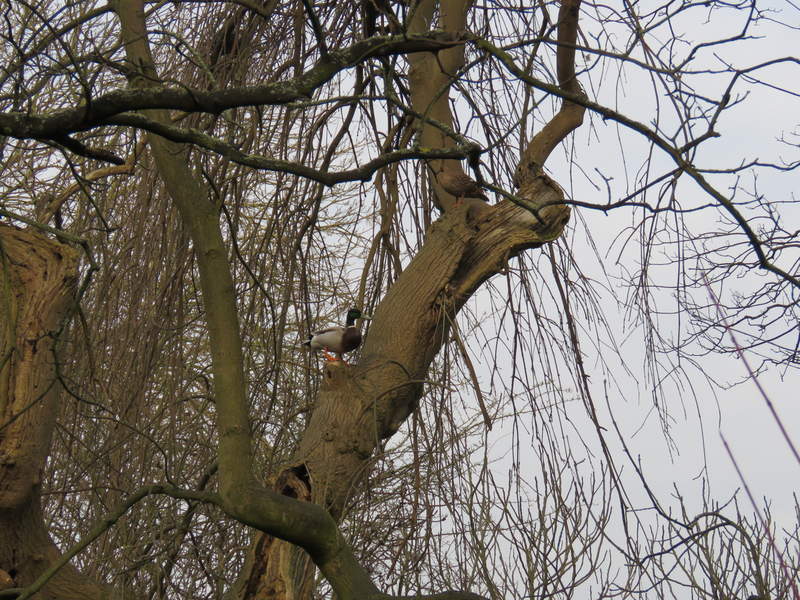 Why did the Moorhen and the Mallards go up a tree? 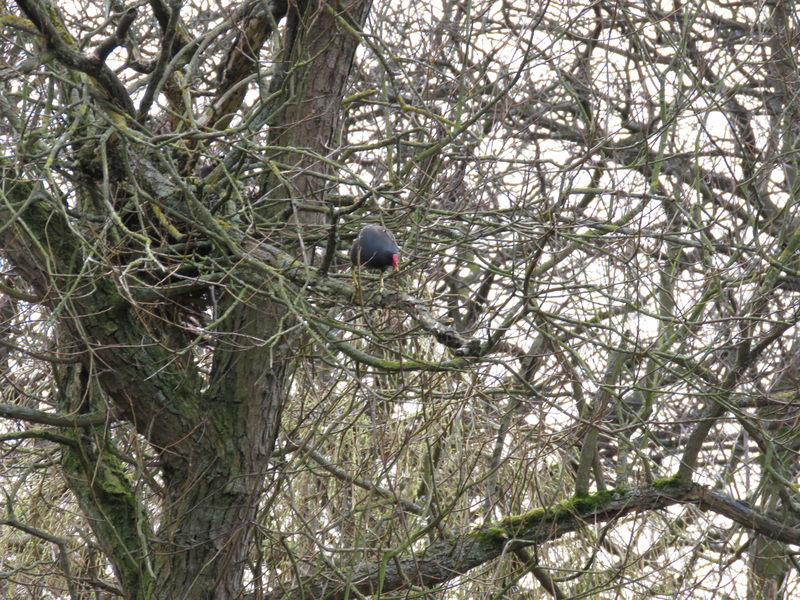 I occasionally see moorhens on trees. Today one climbed up a weeping willow, then fumbled in a fork that seemed to have a lot of branches in it, before almost right away climbing away on to a clear view of the water and gliding down. A nest? 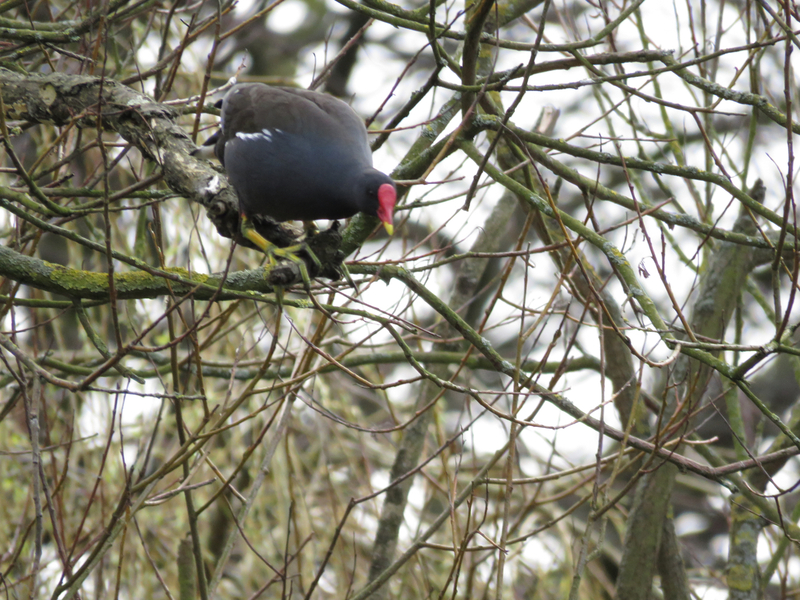 I didn't have a clear view of the moorhen climbing up, it's possible she was carrying nesting material and passing it to its partner? Tonight, I looked at the photos and, yes! you can just see a dark bird sitting on the tree fork. In other photos a bit of bill is visible. A tree nest! Then I thought, that's where they have been nesting these past years. The park's lake has little marginal vegetation and the island, which used to have bushes, is now bare as the goose use it for roosting. That explains why moorhen chicks appeared out of nowhere at some point in the year, even when, as last year, they appear to abandon their nest on the island's shore. This photo shows the location of the nest, on the left hand side. Preparation to jump onto the water. 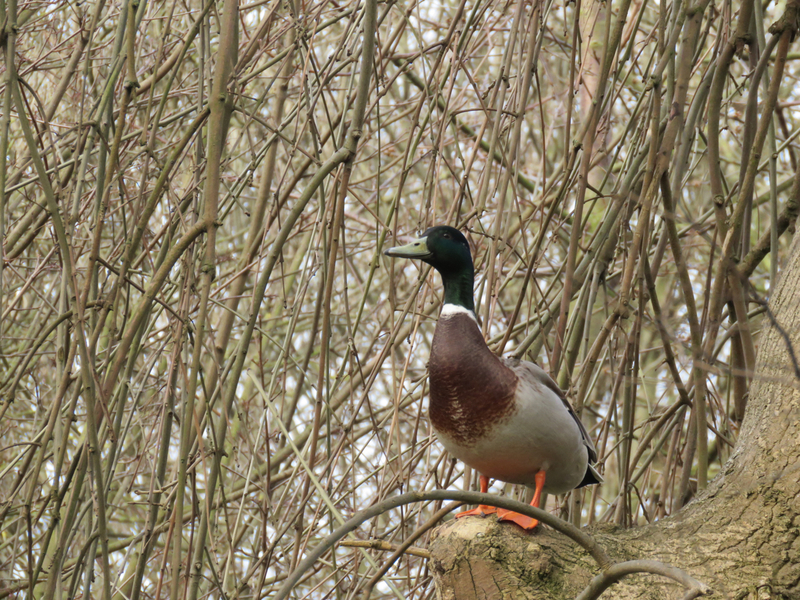 I have never before seen a mallard up a tree. This morning, on the grey light of the solar eclipse, a pair of mallard were quite high on a tree. The duck was inspecting the trees, while the drake looked on, appearing quite unsure. They went to two different trees. Apparently, Mallards occasionally nest in hollow trees, their duckling jumping from the height after hatching just like other tree nesting ducks do. The female is a meter over the drake. So during this day of solar eclipse, I happened upon two birds I don't usually see on trees, doing just that. Not so much the eclipse than spring is in the air and the park doesn't offer the best ground nesting conditions for these birds.